I recently came upon this awesome article about reusing shoes as planters, pretty much the best idea since literal flower beds. As someone who often takes the dirtier, messier, less sensible path to wherever I’m walking, I’m skilled at speeding up the process of wearing out shoes. When they finally become too broken to use for foot housing, it’s easy to just buy a new pair, move on and forget about them. But the truth is, not wearing shoes anymore doesn’t have to mean goodbye. Turning them into planters sounds like one of the most fun and creative sustainable ideas I’ve ever come across. To give it a shot, there are a few steps (sorry) you can take to prepare. Look for Small Plants that can take root in a relatively shallow space. Unless you have boots, of course. Find a Sunny Spot to place your shoe-plants. If you have a decent porch space, here’s a prime opportunity to make use of it. Poke Holes in the sole of the shoe to let water drain. To get started, simply fill the shoes with potting mix and plant whatever you desire inside. What would be especially fun about this is the opportunity to use the shoes decoratively, perhaps adding some flair on the sides and color-coordinating the plant selections so that they really pop. You could even arrange them in a way to reflect the act of walking, creating the illusion that the plant person who used to live with you has finally broken free and run off into the woods somewhere. 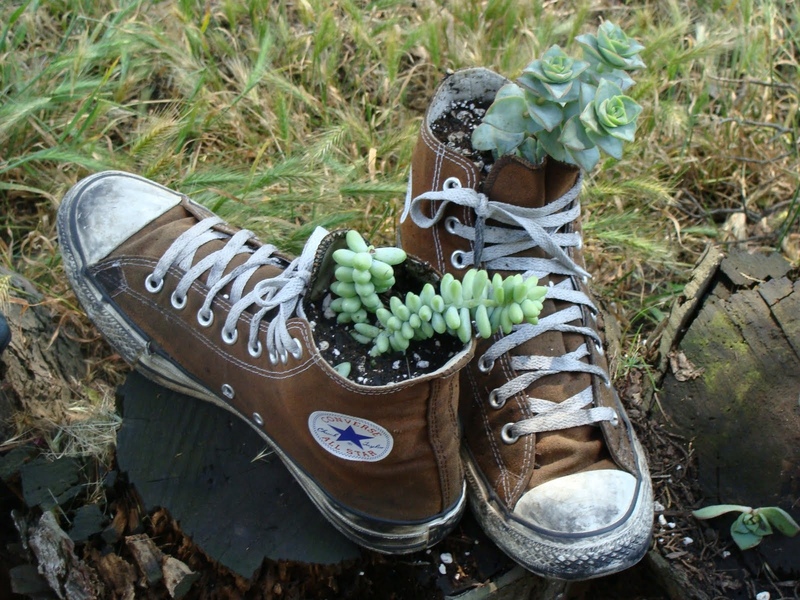 With shoe-planters, the use of your old and tired sneakers will not diminish, but grow. Have you tried reusing your old shoes for anything else?